Florida Residents-please note: Standard FedEx ground service should get your order to you in one day. It is not necessary to pay for any type of expedited service. Enjoy Free Ground Shipping on orders totaling more than $150 shipped within Florida. Custom items: Some items are custom made to order and require additional time or may be drop-shipped directly from the manufacturer's warehouse. Please understand, in regards to items that are drop shipped from the manufacturer or custom made items - Expedited Shipping begins at the Date of Shipment. All merchandise is shipped via FedEx Ground service throughout the Continental U.S. Delivery time ranges from 2 to 7 business days depending on where you live. **FedEx will not deliver to P.O. Box or APO addresses. Orders to APO addresses are sent by USPS. We also provide FedEx Next Day, 2nd Day, or 3rd Day. See chart for pricing information. When calculating delivery, remember to only count working FedEx days. Exclude Saturdays, Sundays and non-working holidays. Orders placed after 1pm EST will ship the following day. Feel free to contact us if you have any questions about shipping service to your area. Call toll free at 1-800-547-8109. Shipping rates includes Handling, Packing and Insurance. In order to make it simple for you, we charge one low delivery charge based on the total value of your order. Attention Florida and Indiana Residents: Enjoy free ground shipping on orders over $150 shipped in Florida and Indiana! Please note that the FedEx Service Guarantee applies only to business days, and excludes weekends, holidays , and other events that may occur. These rates are for all orders that can be sent by Ground FedEx within the Continental United States only. Shipping on over-sized packages will be higher. Also, the above quoted air rates will be higher on over-sized packages. This applies to international orders that cannot be shipped by ground transport. Orders to Alaska, Puerto Rico and Hawaii will ship via FedEx 2nd-Day Air service. We ship to Hawaii, Alaska and APO and FPO military addresses via USPS priority mail so you can receive Wolfgang merchandise wherever you are in the world. Flat shipping rates based on amount of order are listed below. We will handle customs forms. Sorry, we are unable to ship aerosol products due to federal regulations. Puerto Rico orders will ship via 2 Day Air. Shipping rates includes Handling, Packing, Insurance and VAT. Canada Shipping Rates Include duties, taxes, or brokerage fees. Consult your local customs authorities to determine if any imports tariffs apply. 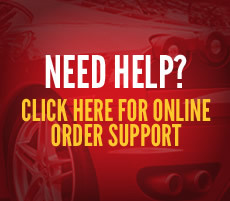 Place your order online through our secure electronic system with a valid email address. Select International Shipping as your shipping option. Before your credit card is charged, we will email you a ship rate quote within 1-3 business days. * If you pay with PayPal, the funds will be automatically withdrawn via PayPal. Upon your approval of the shipping charge, we will process and ship your order. If you have any questions, Email Customer Service. Florida and Indiana residents add 7% Sales Tax. To offset this cost, shipping to Florida and Indiana is free on orders over $150!